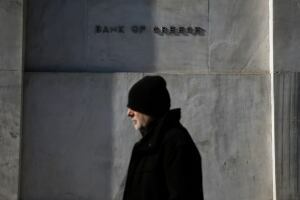 Greece sent its European creditors a last-moment proposal on Thursday meant to unfreeze talks on its bailout program and end uncertainty over its future in the euro. But hopes of a deal at an emergency meeting of eurozone finance ministers on Friday were dampened by Germany, the main creditor. The Greek government offered to extend its rescue loan agreement by six months, as the 19-country eurozone had demanded in order to give all sides more time to hash out a more permanent deal. It held back, however, on offering to continue in full a series of budget cuts and reforms that the eurozone has required since 2010 in exchange for loans, but that Greece blames for devastating its economy. German Finance Ministry spokesman Martin Jaeger said in a statement it "is not a substantial proposal for a solution." He said it amounts to a request "for bridge financing without fulfilling the demands of the (bailout) program," namely the budget measures. It does not, he added, correspond to what the eurozone countries had demanded of Greece before talks broke down on Monday. The European executive Commission was somewhat more upbeat. Spokesman Margaritis Schinas said Commission President Jean-Claude Juncker "sees in this letter a positive sign which, in his assessment, could pave the way for a reasonable compromise in the interest of financial stability in the euro area as a whole." He said Juncker held talks yesterday, overnight and this morning with Greek Prime Minister Alexis Tspiras and Dutch Finance Minister Jeroen Dijsselbloem, who heads meetings of eurozone finance ministers. an easing in the repayment terms on Greece's existing 240 billion euros in bailout loans. That would be based on an old offer by the eurozone to extend repayment dates and lower interest rates once Greece achieves a budget surplus - that is, excluding the cost of debt interest. Greece achieved such a surplus in 2013.
no unilateral actions by Greece "that would undermine the fiscal targets, economic recovery and financial stability"
The proposal includes no mention of continuing the series of budget cuts and reforms the eurozone has required since 2010 in exchange for the rescue loans. Germany insists on those measures, which are likely to remain a key point of debate in the talks on Friday. In a possible concession to the eurozone, Greece's proposal doesn't specifically mention the government's pre-election pledge of seeking forgiveness for most of its debts. Greek shares dipped on news of Germany's cold reception to the proposal, but later recovered their losses and were trading 1 percent up. Analyst Evangelos Sioutis, head of equities at Guardian Trust Securities, said a rift with Greece's creditors would be in nobody's interest, but warned a deal is needed fast. "If there's no agreement in the next few days there is a risk of (a bank run) because liquidity in Greek banks is very limited and there are many who say that capital controls are very close," he said. "There must be an agreement in the next few days." The European part of Greece's bailout expires on Feb. 28. If no deal is reached by then, the European Central Bank would face increased pressure from eurozone governments to cut off emergency financing for Greek banks. That could place so huge a strain on the country's financial system that the government might be forced to print its own currency and leave the euro - a worst-case scenario for all sides. European countries could be stuck with losses on their loans to Greece, which would suffer terribly, at least in the short term. A new Greek currency would immediately drop in value, pushing up the cost of fuel and key consumer goods, most of which are imported. That would take a terrible toll on a society where poverty levels have surged, the average income has fallen by at least a third and one in five workers are unemployed - mostly long-term. Dimos Tzamaloukas, an Athenian in his fifties, said that despite the pressure most Greeks were not overtly worried, due to their already difficult situation. "Perhaps those who have a lot of money are worried," he said. "The rest of the people, 80 percent, are on the verge of poverty."